It was on Jan. 31, 1921 that a passing ship reported an unidentified five-masted schooner hard aground on Diamond Shoals, North Carolina. The Coast Guard responded and found that the ill-fated ship was the Carroll A. Deering, its sails still set, food in the state of preparation in the galley, but there was no trace of the ship’s 11-member crew. And thus began a story that has become another one of the great mysteries of the sea. Not only does the Deering story compare to another famous mystery ship, the Mary Celeste, found adrift without a crew off the coast of France, but there are implications of a Bermuda Triangle kind of event. 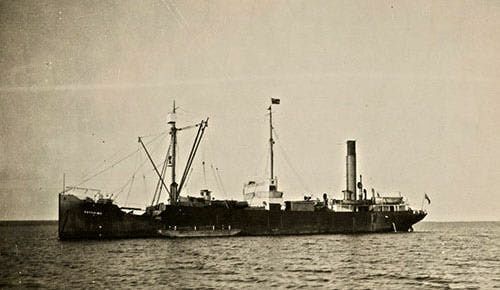 The Baychimo was a steel cargo steamer involved in trading pelts for provisions in Inuit settlements along the coast of the Northwest Territories of Canada. During the winter of 1931-32 the ship became trapped in pack ice and was left abandoned by the crew. The Baychimo survived the winter, however, and over the next several decades there were several sightings of the floating crewless hulk. Some people actually managed to board the ship but never were equipped to salvage it or they were driven away by bad weather. 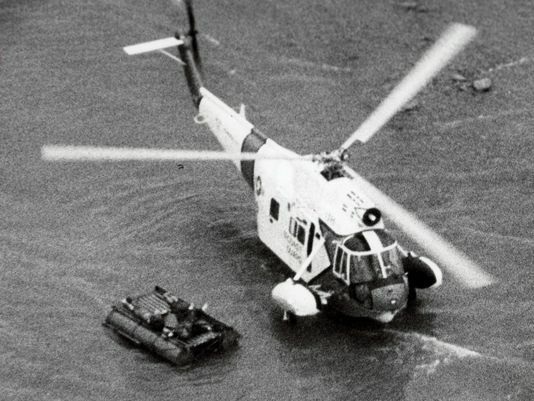 The last reported sighting was by some Inuit hunters in 1969, a full 38 years after it was abandoned. They said it was stuck fast in pack ice in the Beaufort Sea between Point Barrow and Icy Cape off the northwestern coast of Alaska. Thus the Baychimo became a well-known ghost ship of the Canadian north. In addition to its strange name, the New Zealand passenger ship Warrimoo and its crew hold the distinction of doing something nobody else may ever do . . . that is stand in two different places and in two different times at the same moment. During a routine trip on the open Pacific Ocean, traveling from Vancouver to Australia on December 31, 1899, as the steamer was approaching the equator the ship’s navigator notified Captain John Phillips that they were also approaching the International Date Line. This information inspired Captain Phillips to navigate the Warrimoo to the exact point that both equatorial and date lines crossed. There the ship sat at the magic moment of midnight, New Year's Eve. The sinking of the German passenger liner Wilhelm Gustloff by a Soviet submarine in the Baltic Sea in 1945, during the final days of World War II, claimed over 9,400 lives. The incident went down in history as the worst single sea disaster in human history. Because it happened under the fog of war, and involved mostly German women and children trying to escape from the advancing Russian army at Gotenhafen (now Gdansk, Poland), news of the sinking of the Gustloff went almost unnoticed in the Western world. Hitler suppressed the news, believing such a story would cause the German people to question his invincibility. Some years back I had the privilege of walking the decks of the last sailing ship ever commissioned by the U. S. Navy, the USS Constitution. The 220-year-old but well restored and cared-for ship was then, as it remains today, a museum piece anchored in Baltimore’s Inner Harbor. Rigged as a sloop-of-war, the Constitution remains a relic of America’s naval history. What I didn’t know then was that the old ship had a reputation as one of the most haunted ships in the world. Sailors on naval vessels moored nearby, in past years, reported sightings of spirit forms of men in outdated Navy uniform walking her decks. The Titanic story was clearly among the more spectacular and highly publicized marine disasters. But the roles of naval history are filled with other events of similar if not greater magnitude. For example, 1,024 people died when the Canadian Pacific liner Empress of Ireland sank on the St. Lawrence River after a collision with a Norwegian ship only two years later, in May 1914. An even worse tragedy occurred when the riverboat Sultana exploded and sank on the Mississippi River in 1865, killing an estimated 1,547 people. Many of the passengers were Civil War veterans returning home from battle. More than 1,000 members of a church picnic excursion perished in a fire that destroyed the steamship General Slocum in a place known as Hell Gate on the East River at New York City on June 15, 1904. As the story is told, an ancient Seventeenth Century Dutch sailing ship is occasionally seen by ship’s crews as their vessels battle the elements to clear the Cape of Good Hope at the southern tip of Africa. This ghost story has its origins in both Dutch and German legend. The most common is a tale about a Captain Hendrick Vanderdecken, who set sail in 1680 from Amsterdam to Batavia, in Dutch East India, and his ship disappeared in a gale while rounding the cape. It is said that Vanderdecken ignored the danger and pressed on into the teeth of the tempest. The ship foundered, sending all aboard to their deaths. As punishment for his foolishness Vanderdecken and his ship were doomed to spend eternity fighting the tempest at the Cape. During my years of reporting for various Michigan newspapers, one of the most memorable stories I came upon was that of Dennis Hale, an Ohio man who was the sole survivor of a shipwreck in Lake Huron. Hale's experience occurred on Nov. 29, 1966. When I met him 25 years later, he was still reeling from its effect on him. You see Dennis Hale defied all the rules. He survived even though he spent 38 hours on an open raft, in the midst of a winter snow storm, wearing nothing more than his underwear and a life jacket. On exhibit in England’s Natural History Museum is a giant squid, probably the largest ever found. This creature measures 30-feet in length, has eight thick “arms”, two extra-long tentacles lined with suckers ringed with teeth, and massive eyes measuring 10 inches across. This breed of squid, caught off the Falkland Islands in 2005, is believed to live at depths of up to 3,300 feet and is rarely seen. But they apparently were seen on occasions by early ocean navigators, thus becoming the foundation of the ancient stories of sea monsters. Most fearsome of them all was the kraken. The tragic sinking of the small steamship Per Brahe on Lake Vattern in Southern Sweden on November 19, 1918, and the loss of all 24 souls aboard its decks, became a major news story that fall. This was largely because John Bauer, acclaimed Swedish artist and illustrator of children’s books was aboard with his wife and their young son. 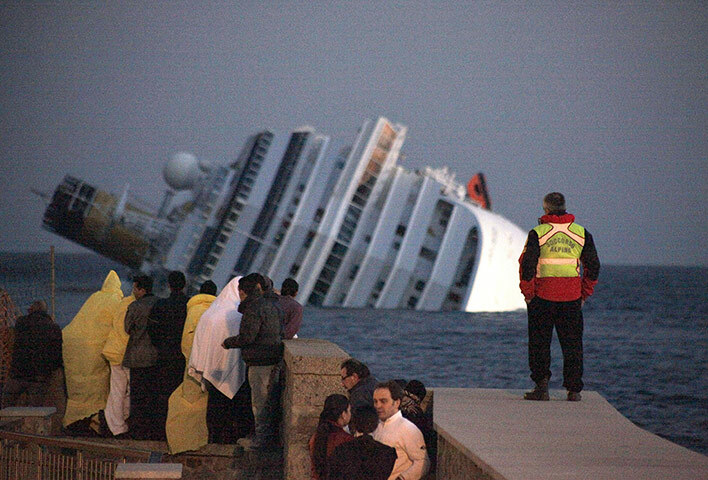 The story became sensational when the wreck was located, raised and and the ruined vessel refloated four years later. It was in the fall of 2007 that the U. S. Navy, while conducting fleet exercises surrounding the 1,000-foot super carrier USS Kitty Hawk in the Northern Pacific, was dumbstruck when a Chinese Song Class diesel-electric attack submarine surfaced unexpectedly in the midst of a vast naval armada of U. S. ships. The incident proved to be a major embarrassment for the Pentagon. Somehow the Chinese submarine had managed to slip through the US Navy’s security system and come within range for launching torpedoes or missiles at the carrier. Before this happened, the Americans had no idea that China’s submarine fleet had reached this level of sophistication, or that it posed this level of a threat. There have been at least two serious plans over the years to rebuild the infamous luxury liner Titanic which sank on its maiden voyage after striking an iceberg in the North Atlantic and taking over 1,500 passengers and crew members to the bottom with it. Indeed, movies and books have been produced about that 1912 disaster on the high seas. While there have been ship disasters claiming as many and even more lives, the Titanic disaster has remained indelible among all of the nautical stories of the sea. It should be of no surprise that investors over the years have explored the possibility of building an exact replica of the Titanic, naming it Titanic II, and turning it into a floating pleasure palace for the rich and famous. Among the new and peculiar looking naval ships emerging from the famous Bath Iron Works of Maine in recent years is the USS Zumwalt, a giant 600-foot-long destroyer that represents an entirely new class of fighting vessel. The designers claim that its sloped hull makes it harder for radar to find because it is only seen as a small fishing boat. Critics say the $4.4 billion spent in designing and building this ship is an extravagant waste of taxpayer dollars. It is happening faster than the prognosticators ever thought it would. So much ice has melted away that the long sought Northwest Passage through the Canadian arctic appears to already be open for shipping . . . at least during the summer months. Apparently some vessels have already made successful trips through the passage. And now the Crystal Serenity, an 820-foot, nine-deck tall passenger liner is in the midst of a unique trip through the passage with 1,070 passengers. 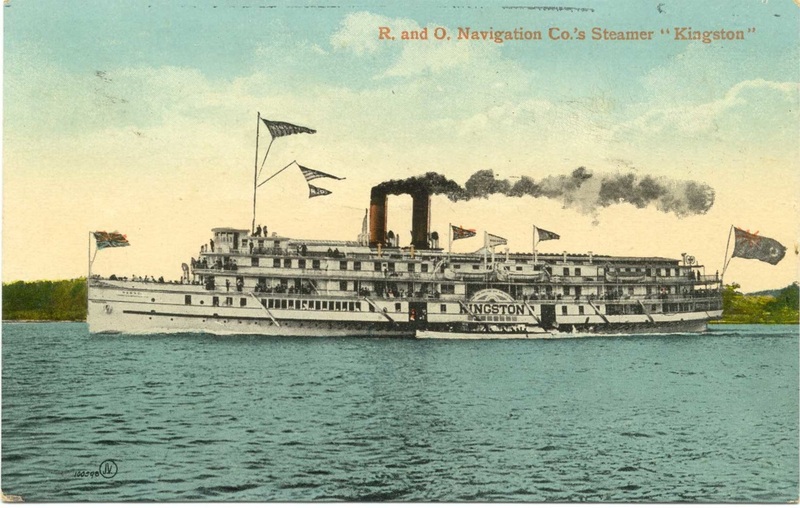 In the seventy-three remarkable years that the iron hulled Canadian passenger steamer Kingston remained in service on the Great Lakes; from 1855 to 1928, its worst enemy appeared to be fire. Flames ravaged the ship twice in quick succession, in 1872 and again in 1873. The Kingston was partially burned again in 1905. Each time it was rebuilt to run again. Flames did their first work on the Kingston on a fine summer afternoon in June, 1872, as the liner steamed up the St. Lawrence River from Brockville, bound for Toronto with about 100 passengers and a full cargo of freight. 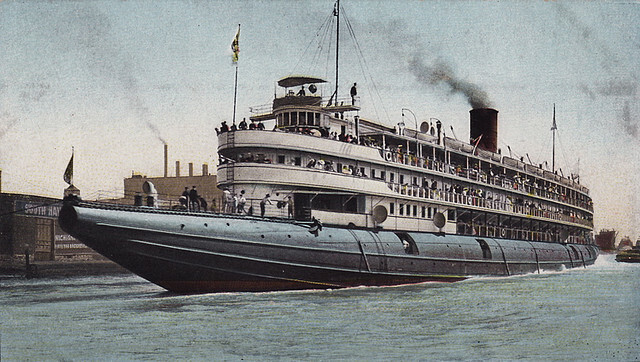 In the seventy-three remarkable years that the iron hulled Canadian passenger steamer Kingston remained in service on the Great Lakes; from 1855 to 1928, its worst enemy appeared to be fire. Flames ravaged the ship twice in quick succession, in 1872 and again in 1873. The Kingston was partially burned agaln in 1905. Each time it was rebuilt to run again. She was a modest steamship by today’s standards. The Aberdeen was 3,616 gross tons and measuring 362 feet in length. But it went down in history as the first steamship of Scotland’s Aberdeen Line, later coming under control of the great White Star Steamship Line. Like her sister ships, the Aberdeen was constructed on a clipper hull. She was even rigged for sail with three masts, but also had a single funnel and single screw. 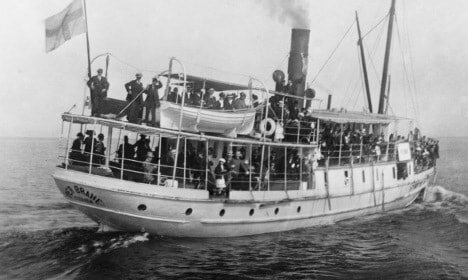 The steamer offered accommodation for 45 first class and 650 third class passengers and was put into service between Europe and Australian ports. She began her maiden voyage to Capt Town, Melbourne and Sydney on March 30, 1882. An incompetent skipper and untrained crew was blamed for the deaths of about a hundred passengers and crew members when the cruise ship Yarmouth Castle burned during a Caribbean cruise on Nov. 13, 1965. The fire that started around 1 a.m. in one of the cabins quickly spread through the wooden superstructure of the 39-year-old vessel, pitting 373 passengers and 174 crew members in a battle for their lives. 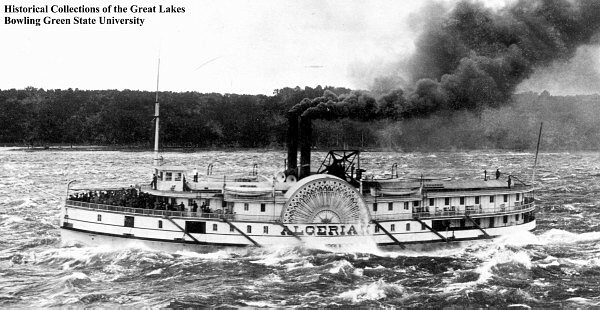 The first real steamship built at Detroit in 1847 was the Michigan, a 156-foot-long vessel propelled by duel engines working wheels on both sides. 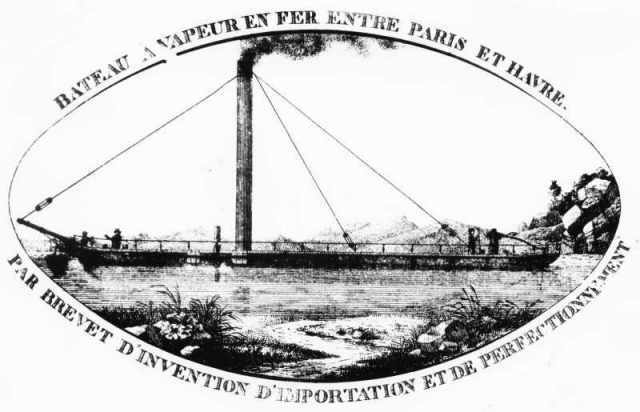 It was an early design for steamships, and the fact that the two wheels were powered by separate engines sometimes created problems. 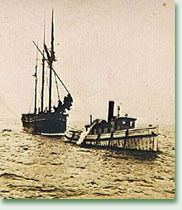 While the arrangement worked well in calm weather, when the vessel was rolling in high seas and stormy weather, the raising of one wheel out of the water while the other was laboring in deep water caused the boat to lurch and jerk from side-to-side. Passengers and crew members had to hang on for dear life. More . . .